There is a common misconception among modern loadmasters that they have a heritage dating back to World War II. While the overall airlift heritage goes back to the early 1930s, such is not actually the case for loadmasters, at least not in terms of a direct lineage or even in terms of similar duties as they have been performed since the 1950s. The aircraft loadmaster career field is fairly recent in comparison with other US military aircrew positions, most of which date back to at least World War II if not before. Prior to the early 1950s, cargo loading was performed by ground personnel and ejection of cargo was the role either of the crew chief and radio operator or, after the advent of the C-82, by Army Quartermasters. Although a military occupational specialty existed in the US Army for air cargo-handling duties, it wasn't until 1953 at the end of the Korean War that the US Air Force established a loadmaster Air Force specialty code. Loadmasters share in the heritages of the troop carrier and tactical airlift mission and of the strategic airlift mission but the aircraft loadmaster heritage as a military duty and aircrew position actually goes back only to the Korean War and even then it was restricted to the large four-engine Douglas C-124 Globemaster II. There was an aircrew position called a "flight clerk" during World War II but their duties were more related to passenger comfort than to cargo loading. It was during a reorganization of the military air transport mission at the end of the Korean Conflict that the loadmaster field was established. Prior to that, load planning and supervision of loading of airplanes, including applying restraints, was carried out by ground personnel and aerial delivery was performed by US Army Quartermasters. Some believe that Douglas Aircraft actually originated the term "loadmaster" because it is used in the company's handbook for the C-124 to describe the duties of a cargo handler, but this may or may not be true. A similar term, "dropmaster," was used during World War II for troop carrier quartermaster personnel who specialized in preparing cargo for airdrop and flew on cargo dropping missions on transports (and frequently on heavy bombers that had been detailed for aerial resupply operations.) Originally called "kickers," by mid-1944 when the Allies invaded Normandy, quartermasters who had been designated as dropmasters were assigned to the IX Troop Carrier Command in Europe. That particular function remained with the Army when the Air Force was established as a separate service and did not transfer to the Air Force until near the end of the Korean Conflict. The duties performed by present-day loadmasters were carried out during World War II either by other flight crewmembers - aerial engineers/crew chiefs and radio operators - or by ground personnel assigned to troop carrier and air transport units as cargo loading supervisors. Aircraft loading and inflight kicking was even performed by Australian and British ground troops! An MOS called flight traffic clerk was established by 1944 but the job description is only similar to post-Korea loadmaster duties and is more like that of the flight traffic specialist/flight steward of the 1950s-60s. In fact, the official history of the US Army Air Forces in World War II only makes one mention of flight traffic clerks and in that instance it refers to them as having been assigned to transport aircraft to see to the safety and comfort of passengers. When World War II broke out, very little had been done in regard to air transportation except in relation to logistical operations in support of Army Air Corps combat squadrons. The first Air Corps air transportation unit was the 10th Transport Group, which activated on 20 May, 1937 as part of the Air Services Command when the 10th Observation Group was combined with the 1st Transport Group, a unit that was constituted in 1933 but placed on the inactive list. The 50th Transport Wing was established at Wright Field. OH in 1940 with four groups (60th, 61st, 62nd and 63rd) with the mission of transporting aircraft parts from depots to combat squadrons in the US, Alaska and Panama. One group was at Wright Field while the others were at Olmsted Field, Pennsylvania and McClellan Field, California. The wing was assigned directly to the office of the chief of the Air Corps but funtioned under what was then known as the Material Division of the Army Air Corps. When the US Army decided to establish airborne units, the 50th Wing was tasked with supporting them by providing aircraft for their training. In the spring of 1942 the 50th was reassigned to the newly established Air Transport Command, which activated on April 30, 1942. Other troop carrier wings soon followed, each with at least three troop carrier groups assigned, although they were initially designated as "transport" units. In 1941 the Air Corps set up the Ferrying Command, a special unit staffed by pilots and aircrews on temporary duty from combat squadrons to ferry new aircraft to points where they could be picked up by crews from foreign air forces for delivery to their home countries or where they could be loaded onto ships. During the first few months of active participation in World War II the Army reorganized it's air transport units. On April 30, 1942 a new Air Transport Command was formed from the 50th Transport Wing, which left the Air Service Command - the Material Command had been redesignated - and transferred with all of its assets into the new command. The air transport designation was short-lived. In June the Army Air Forces established a logistical organization for non-combat air transportation. Consideration was given to establishing the new organization as part of the Air Service Command but the Ferrying Command was renamed and reorganized instead. The air transport designation was taken away from the existing organization and given to the new command, which became the Air Transport Command, with two divisions, air transport and ferrying. The former Air Transport Command became I Troop Carrier Command and was given responsibility for training troop carrier crews for overseas duty. While the new air transport mission was considered support, Troop Carrier was established as one of the air force's combat missions - the others being fighter, bombardment and observation. Troop carrier groups were assigned to every theater to provide air transportation for air and ground combat units and to support airborne operations. Most numbered air forces included a troop carrier command along with fighter and bomber commands. Their presence quickly proved to be a valuable asset that provided unprecedented mobility to both ground and air units as the battle lines advanced further and further from rear area supply depots. The creation of the original Air Transport Command left the Air Service Command without transports so it turned to the airlines to meet its needs. To handle military contracts with the airlines, the Air Service Command set up a Contract Air Cargo Division and staffed it with airline personnel who had been brought into the Army. When the Army Air Transport Command was established, the Contract Air Cargo Division and its staff transferred to it and formed the headquarters of the air transport division. The first operational use of US transport aircraft was in the Philippines, Java and, later, New Guinea. Since no transports were assigned overseas, initial transport operations were performed with civilian aircraft confiscated from local airlines or with combat aircraft that had been converted for transport use until military transports began arriving from the US. The first agency for transport operations was the Directorate of Air Transport which was set up in Australia on January 28, 1942. It was a joint organization made up of American, Australian and Dutch personnel commanded by Royal Australian Air Force Air Marshall Harold Gatty, who had achieved prewar fame as a navigator and long distance air racer. An Air Transport Command was established as part of the US Far East Air Force a few days later on February 2 under the command of Captain Paul I. Gunn, a former US Navy enlisted pilot who had been running Philippines Airlines when the war broke out and was brought into the Army along with the company's airplanes. Pappy Gunn would go on to become a legend in the Pacific and one of the most amazing characters of World War II. The FEAF ATC, which included the 21st and 22nd Transport Squadrons, is not to be confused with the Army Air Transport Command which was established later that year. (The ATC in Australia was redesignated as "troop carrier" in July after the Army Air Transport Command activated.) The two squadrons flew an assortment of airplanes, including C-47s, C-53s, C-60s and converted B-17s and LB-30/B-24 bombers. They even had a few Douglas DC-5s, of which less than a dozen were made and sold to the Dutch. Many of the two squadrons' transports had been purchased from KLM. 1942.) Some of these officers, most of whom were rated pilots or navigators, would go on to become figureheads in US Air Force aerial ports. One well-known aerial port officer from the 1960s, Lt. Col. Stephen Como, started out as an air cargo officer with Tenth Air Force in India. After the Japanese conquest of Java, the Allies turned their attention toward the defense of Australia and the establishment of an offensive air force in India to conduct long-range bombing missions against Japan from forward airfields in China. Australian troops - there were no American ground combat troops operational at the time - began pushing northward from Port Moresby to the northeast coast of the Lae Peninsula on New Guinea. Their advance took them through dense jungles on the slopes of the rugged Owen-Stanley mountains. When they met up with Japanese forces moving south out of Buna, they began retreating back along the Kokoda Track toward Port Moresby. Due to the distances involved for ground resupply by porters coming over the mountain trail from Moresby, the Australians turned to the DAT for resupply. Transports assigned to the 21st and 22nd Transport Squadrons (later troop carrier) flew into remote airfields with supplies. They were joined by the 6th Troop Carrier Squadron in October, 1942. After Japanese forces landed at Buna and advanced southward along the Kokoda Track in an attempt to capture Moresby, the resupply effort turned to airdrop. Australian ground troops were given training in cargo loading and kicking the packages, boxes contained inside burlap bags, out of the open door of the transport. (One of the most sucessful containers was the cardboard 5-gallon ice-cream container. An American quartermaster, Warrant Officer Bill Bentson, came up with a method of filling the containers with rations and ammunition packed in straw.) Teams of usually five soldiers from the unit being supplied loaded the airplane and tied down the cargo, then went along on the mission to kick it out. One man took a position with his back against the wall and literally kicked each bundle out as it was positioned by the other members of the team, hence the term "kicker". After the mission was complete, the Australian "diggers" often left the airfield and began an overland march to join their unit. 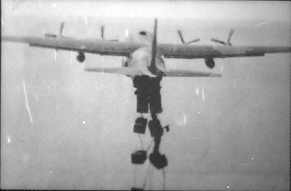 Parachutes were used to drop cargo that was unsuitable to be dropped without them but most bundles were free-dropped. Because loads often consisted of rations, the drop planes were nicknamed "Biscuit Bombers" by the Australian troops. The name stuck. As the war continued and American ground troops entered combat, US units began training personnel for kicker duty. Initially, laundrymen were given the task of packing parachutes and rigging bundles for airdrops then accompanying missions to assist the crew chief and radio operator with dispensing of the load. As the mission developed, procedures were worked out for the use of color-coded parachutes to identify the contents of each bundle. Over the next two years airdrop became an important part of Allied tactics in the battle for New Guinea, with US troop carriers assigned to the 54th Troop Carrier Wing and its subordinate groups delivering supplies to Australian and American troops. Airdrop would remain a major troop carrier mission in Fifth and Thirteenth Air Forces as the war moved north through New Guinea and into the Philippines. Similar operations developed during the same time span in the China-Burma-India area of operations, often using methods that had been developed in the Southwest Pacific. The first transports in the CBI were actually Pan American DC-3s that were sent there on a military contract in the spring of 1942 to fly fuel and oil into China from India for the B-25s of the famous Doolittle Mission over Japan. They were supplemented a few weeks later by military C-47s that arrived as part of Project AQUILA, a mission to establish a heavy bomber capability for Tenth Air Force, which had just been established. In March 1942 a new transport group was organized at Pope Field, NC for duty in India to "ferry" supplies to China as part of Project AMMISCA, the acronym for American Military Mission China. Because it was organized under the auspices of the Ferrying Command, the new group was designated as the 1st Ferrying Group. The unit's pilots were US Army reservists, most of whom had been flying for the airlines. They were joined by crew chiefs and radio operators who came out of Army training schools to make up the crews. (At that point in the war navigators were not assigned to transport crews except for overwater flights. Special units were set up to provide navigators for ferry flights from the US to overseas destinations where they left the crews to return to the US.) The 1st Ferrying Group departed for India in April and finally began operations in June after a period of training at Karachi. The Ferrying Command had intended for the group to remain under its control but the plan was protested by Tenth Air Force commander Maj. General Lewis H. Brereton on the basis that if the group was going to be operating in Tenth Air Force's area with Tenth Air Force support, it should be under Tenth Air Force command. (General Brereton played an important role in military airlift history. In June 1942 he was transferred to the Middle East and organized what became Ninth Air Force with the 316th Troop Carrier Group assigned to it. In October 1943 he took his headquarters to England to organize a new Ninth Air Force for the invasion of Normandy. His new command included IX Troop Carrier Command, with over 1,000 C-47s and nearly twice that many gliders. After the invasion he was given command of the First Allied Airborne Army, a joint US-British army made up of airborne and troop carrier units. Brereton and his staff developed many of the ideas related to troop carrier operations that were incorporated into the post-war Army Air Forces and the US Air Force that followed.) By the time the 1st Ferrying Group became operational, the focus of the war in India was simply defending the country against the Japanese, who had captured most of Burma. In order to relieve the military transports for combat operations, Tenth Air Force contracted with China National Aviation Company, a Pan American subsidary owned jointly with the Chinese government, to deliver supplies into China. The China resupply effort was officially called the India-China Ferry. The term "airlift" had yet to be coined and it wasn't until years after the war that the operation came to be known as the Hump Airlift. The 1st Ferrying Group was redesignated as the 1st Transport Group in July, then disbanded in December as the headquarters was elevated to become the India/China Wing of the Air Transport Command with the unit itself becoming the 1337th Air Force Air Base Unit. Similar units were set up at all of the bases served by ATC to handle cargo and perform maintenance on ATC transports. In June 1942 the Army Air Transport Command was established from the headquarters of the Ferrying Command, which became a division of the new ATC. The primary missions of ATC were ferrying of combat airplanes and the issuing of military contracts to the airlines - the command came about largely because of the efforts of Civil Aeronautics Agency commissioner Lawrence Pogue to establish a quasi-military airline reporting directly to the White House. Two divisions were set up in the new command - the Ferrying Division and the Air Transportation Division, which was staffed primarily by airline personnel who had joined the Army and had been previously assigned to the Service Command Contract Air Cargo Division. The new Air Transport Command was essentially a military airline, and the staff was made up primarily of airline executives who had been given direct commissions as field grade officers. American Airlines president C.R. Smith was chief of staff. The Navy also established its own air transport command at about the same time. For the first year or so of operations, the Air Transport Command functioned primarily to issue contracts for movement of cargo and passengers on airline aircraft due to the lack of pilots and other aircrew personnel. Even as it began purchasing it's own equipment, ATC depended heavily on the airlines to provide crews under military contract. In addition to their own company's equipment, airline crews flew military transports under contract that had been purchased from the airlines or which had been purchased directly from the manufacturers for military use. Shortly after ATC was established, the White House directed the airlines to turn over all but 200 of their transports to the military. Since there were no long-range transport aircraft available in 1942, the Army contracted with Consolidated Aircraft Company for a number of converted B-24 Liberators - which were redesignated as C-87s - for international operations. Due to the demand for qualified multi-engine pilots in bombers, contracts were let to the airlines to crew them. As the supply of airline crews reached exhaustion, the Army began commissioning civilian pilots as "service pilots" and assigning them to ATC's transport squadrons. (The service pilot designation was given to former civilian pilots who had no military pilot training and whose duties were limited to other than combat flying, including flying logistical and passenger transports.) It wasn't until late in the war that military-trained pilots became available in large numbers for ATC. In late 1942 ATC chief of staff C.R. Smith convinced the War Department to assign India-China Ferry duties to ATC. (The first ATC transports sent to China belonged to a squadron of C-87s operated by contract crews from Smith's own airline.) ATC assumed control of the operation in February 1942 and although it's performance did not live up to expectations, it retained control for the duration of the war. Until the end of the war there were two (at least) air transport organizations operating in the CBI, the combat troop carrier and combat cargo groups assigned to Tenth and Fourteenth Air Forces troop carrier commands and the non-combat India/China Wing of the Air Transport Command. British transport groups also operated in the region. While the troop carrier squadrons and groups operated in the combat role in direct support of British and Chinese ground troops, the ATC units were purely logistical and were controlled directly from ATC headquarters in Washington, DC. Local commanders were authorized to use them in emergency situations but they had to be able to justify the requirement in writing to the chief of the Army Air Forces. ATC also contracted with China National Airways Corporation to deliver cargo into China, continuing a contract that had first been established by Tenth Air Force. CNAC also contracted with Tenth Air Force X Troop Carrier Command. During the last few months of the war, ATC's India-China Wing was given operational control of all heavy bombers as well as troop carrier and combat cargo transports in the theater. The Air Transport Command was considered to be a support function, along with Service Command and other non-combat commands, with the mission of supporting US Army air and ground combat units by transporting personnel and cargo, mostly through airline contracts. Its transports operated in rear areas bringing cargo and personnel into rear area depots.Cargo was redistributed throughout the theater by troop carrier squadrons. By 1943 ATC had begun using military crews but most of the pilots were former civilian pilots who had been commissioned as non-combat "service" pilots. Other transport organizations were established within the service commands of the numbered air forces. For instance, the Eighth Air Force's VIII Service Command included the 27th Transport Group, a unit whose sole duty was providing logistical support for VIII Fighter and Bomber Commands, and which used a variety of aircraft, British as well as American, most of which had formerly been used for combat operations, to deliver parts. 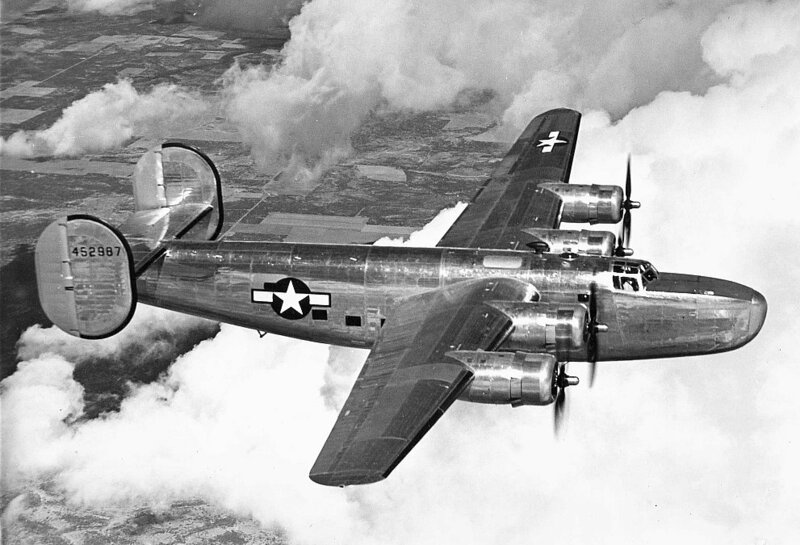 As older model B-17s and B-24s were replaced by newer models, it was common to reassign the older aircraft to transport duty. In mid-1944 the 27th TG, along with a similar unit in Ninth Air Force, was assigned to a new 302nd Transport Wing that was established on the European continent to provide logistical support for rapidly advancing ground units and air units when IX Troop Carrier Command became part of the newly established First Allied Airbone Army. Throughout World War II, no crewmember was assigned to flight crews specifically to carry out cargo handling duties in either the troop carrier or air transport missions. (See below for information about the Flight Traffic Clerk MOS.) Flight crews consisted of two pilots, an aerial engineer and a radio operator. Navigators were assigned to overwater flights and, after mid-1943, to troop carrier squadrons at a ratio of two per every five crews. Loads were planned and weight and balance was calculated by commissioned officers. Loading and offloading was typically conducted by ground personnel. 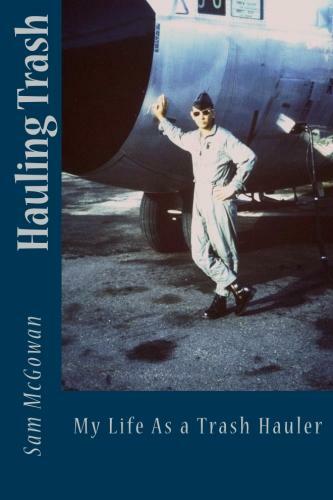 Although cargo loading teams were initially unsupervised, as troop carrier and air transport units developed, loading operations were under the supervision of qualified enlisted air transportation technicians if there were any assigned to the particular airfield. If no loading supervisors were assigned and the loading crews were untrained, the aircrew was in charge of the operation. The aerial engineer, who was commonly referred to as the "crew chief" on twin-engine transports, was responsible for all aircraft equipment. The oldest of the enlisted aircrew positions, engineer/crew chiefs date back to the 1920s when mechanics were assigned to fly on multi-engine aircraft. It was his responsibility to supervise attaching of parapacks to outside V-rings on C-47s and to attach glider tow ropes. Inflight he served as the go-between the jump master and the pilots on personnel drops and supervised cargo drops. Radio operators were also trained in aircraft maintenance and were considered as assistant crew chiefs in troop carrier squadrons. Unless additional dropmasters had been assigned to the mission, the aerial engineer/crew chief and radio operator were responsible for ejecting the bundles. Four-engine transport crews included an aerial engineer whose duties were similar to those of the C-130 flight mechanics of the 1950s and 1960s before they were redesignated as flight engineers - they helped the pilots monitor aircraft instruments and performed limited maintenance while away from home base. Aerial engineers also supervised cargo loading and offloading if no qualified air transportation specialists were available. Except for converted bombers and bombers detailed for airdrop duty, four-engine transports were not used for aerial resupply. Note - All of the original perfomance-qualified flight engineers were commissioned officers and the first group were all qualified pilots. Supervises the loading, unloading, balancing, tying down and stowing of cargo in aircraft and the operation of loading equipment. Supervises execution of manifests, airways bills, and other forms required in connection with the movement of air freight and passengers. May assist officer-in-charge of priorities, air freight terminal, or weights and balances in air transportation operation. Must know limitations of load capacity for all types of cargo aircraft. By 1943 air terminal/air cargo squadrons were being established at troop carrier bases overseas. The air terminal squadrons included weight and balance/load planning officers who were responsible for planning loads to insure that the airplane remained within established center of gravity limits and make maximum use of available cabin capacity. An Air Transportation Technician MOS 967 was established for enlisted men who worked under the supervision of load planning officers. 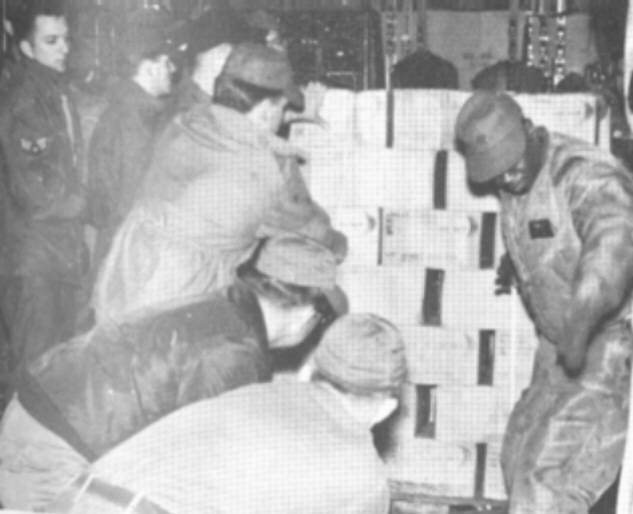 Actual loading of logistical cargo was carried out by Quartermaster Corps personnel, often colored troops, under the supervision of air cargo personnel. Tactical cargo was loaded by quartermaster personnel from the unit for which it was intended. At first loading operations were performed by indigenous civilian personnel but language difficulties led to the eventual use of military personnel. It was within the air terminal/air cargo squadrons that the first personnel with duties resembling that of a loadmaster originated. The delivery of supplies by parachute became an important air transport mission early in the war, particularly in New Guinea where troop carrier squadrons supported Australian ground troops fighting on the Kokoda Track in mid-1942 and in Burma where the 1st Ferrying Group and other transports were assigned to drop supplies to British and Chinese units operating in the Naga Hills of northern Burma after the country fell to Japanese forces. Since the handling of supplies was a Quartermaster responsibility, quartermasters were assigned the duty of packing the cargo for airdrop. Specifically, the duties were given to personnel assigned to laundry companies, since they had also been given responsibilty for the packing and handling of cargo parachutes. It was a logical step for the young laundrymen to begin flying on airdrop missions to assist the crew chief and radio operator in shoving the bundles out of the airplane door. The laundrymen were eventually replaced by Quartermaster personnel who had been trained to handle cargo. As delivery of supplies by parachute became common throughout the world, "kickers" were assigned to flight duty and referred to as "dropmasters." IX Troop Carrier Command in the UK included a detachment of dropmasters whose role was to rig cargo and fly on missions to dispense it. (There are a number of references to "dropmasters" in the preceeding linked document. Check pages 74-75.) The first group of dropmasters were quartermasters from the 2nd Quartermaster Supply Company in IX Service Command. They were put through a two-week training course in aerial resupply and placed on flying status to fly on drop missions to work with the crew chief and radio operator to eject the bundles. Only 98 had been trained and placed on flying status by June 6, 1944. Due to a shortage of dropmasters during the D-Day resupply missions, crew chiefs and radio operators dispensed the loads on all but 54 airplanes in a 208-plane mission. After D-Day the flying quartermasters were reorganized into the 2nd Quartermaster Battalion and assigned directly to IX Troop Carrier Command for dropmaster duty. They were responsible for packing the bundles - usually wicker baskets - prior to the mission then flew on resupply missions to eject the loads. IX TCC dropmasters flew on drop missions on Eighth Air Force B-24s during Operation MARKET, the airborne phase of the invasion of Holland at Arnhem. On the B-24s, the dropmasters loaded the airplanes then supervised and assisted the bomber crews during the drops. In the China-Burma-India theater, some US Army personnel were detailed to China National Aviation Corporation to fly as kickers when the airline was contracted for aerial resupply missions. The CNAC site contains copies of orders assigning men to kicker duty with the airline. The kicker and dropmaster terms remained in use in Tactical Air Command into the early 1960s. During the Korean War, although the troop carrier mission had become a US Air Force mission, rigging of cargo and ejection inflight was carried out by US Army airborne quartermasters who flew on airdrop missions in C-119s, C-47s and C-46s. They were still commonly referred to as "kickers." Air Force personnel were not involved in rigging of loads and it was Army personnel who installed the aerial delivery equipment in C-119s and operated it inflight. In 1953 the dropmaster function transferred to the Air Force along with other duties formerly performed by US Army personnel - including pathfinders, which became combat control - and the new dropmasters were given the newly esstablished loadmaster AFSC. As member of the crew of a transport airplane, performs various duties in connection with handling of passengers, loading and unloading of cargo, and maintenance of records pertinent to flight. Shares responsibility for maintenance of cabin discipline among passengers and security of passengers and cargo. Distributes meals to passengers and crew members. Takes appropriate measures for protection of cargo and equipment, guarding against pilferage and unauthorized diversion of cargo. Collects passenger's transportation request, checks loading and unloading of cargo, passengers and passengers baggage. Has custody of all traffic forms and prepares papers required by customs authorities. Serves as couriers for classified mail and cargo. May jettison cargo when so instructed. Must be familiar with tie-down systems and proper placement of cargo in cabin to insure safe loading and unloading. Note - Both the Air Transportation Technician and Flight Traffic Clerk MOS's are categorized by US Army Technical Manual 12-247, which was published in July 1944, as "Air Transportation." The Flight Traffic Clerk MOS is not listed as one of the fields identified as an Aircrew MOS. Click on the link at the bottom of the page to see the entire manual. I learned of the creation of the "flight clerk" role from SMSgt Ed Kennedy (USAF, ret), who started his aviation career as a radio operator on one of the C-47 crews that went to China with the AMMISCA force in the spring of 1942. Ed flew as a radio operator with the Army Ferrying Command, Tenth Air Force and then with ATC and MATS. His flying career included service on the India-China Ferry and the Berlin Airlift. He later became an air operations specialist in MAC. Ed participated in the FIRE BALL missions and maintains that this is when the flight clerk position originated and that their purpose was to keep track of manifests and other paperwork, hence the term "clerk." A perception has developed within the loadmaster community that the World War II flight clerks assigned to Air Transport Command flew as part of the crews on what is now famous as the Hump Airlift from India into China. A paper written by a loadmaster who was a student at the US Air Force Senior NCO Academy makes this assertion, basing it on what the author had been told by a retired USAF flight engineer who had flown in Air Transport Command in India and captions of a couple of photographs he found in documents in the school library. His paper assumes that those flight clerks peformed what are now loadmaster duties. His assumptions, however are incorrect. While it is true that there were flight clerks assigned to the India/China Division of the Air Transport Command for flight operations, it appears that they were assigned solely to flights carrying passengers. Cargo loading was handled by ground teams supervised by an air transportation technician who was assigned to ground duty and was not a member of the flight crew. The ICD newspaper the HUMP EXPRESS is available online. I have scrutinized each issue and have only found two references to flight clerks, and both are in regard to passenger flights. In fact, the picture referenced in the SNCO Academy paper is of a flight clerk conferring with representatives of Fleet Service, which was established as part of Air Transport Command in early 1945 to service airplanes being used on passenger flights with blankets, meals, magazines, etc. There are several articles that mention Hump crews and none include a flight clerk. Crewmembers mentioned are a pilot, copilot, aerial engineer or crew chief and radio operator. Hump crews did not even include navigators because (1) they were over land on established routes and (2) weight was critical so only the minimum necessary crew flew on cargo missions. A couple of articles refer to jettisoning of cargo by crew chiefs, engineers and radio operators, with no mention of flight clerks. There are several references to weight and balance officers and to ground loading crew supervisors. One article about a transport crew that crashed but was spared serious injury because their load had been properly secured gives credit to the two members of the loading crew responsible for securing it. Of the two articles that mention flight clerks, the first relates how they passed out magazines provided by Fleet Service to passengers and the other refers to inflight announcements made over the P/A System. The Berlin Airlift was started as and remained a troop carrier operation from start to finish, with MATS C-54s (including Navy airplanes and personnel) supplementing troop carrier groups that had been brought to Germany from as far away as Japan on TDY status. The airlift started with C-47s but within the first couple of months became an all-C-54 operation. (At least as far as US paticipation is concerned. British and French crews continued flying C-47s, or Dakotas as they were known, along with a variety of other transports. At least one B-24 that had been converted to a transport was operated by Scottish Airways.) As during the Hump operation three years before, the C-47 and C-54 crews consisted of two pilots, an engineer or crew chief and a radio operator. 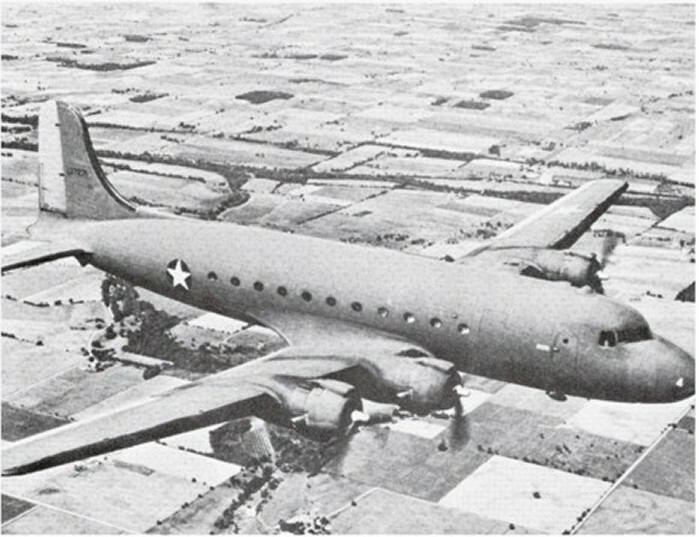 A single C-74 operated on the airlift for six weeks during which it flew 24 round trips into Berlin. A single YC-97 was also assigned to the airlift during the final weeks, but only flew a few missions before suffering a nosegear problem. Since the C-74 featured an elevator and hoists, there may have been some kind of cargo handler assigned to the Berlin missions. At that time MATS included a number of flight traffic specialists as the World War II flight traffic clerks had been renamed, and it is possible that some of them were trained to operate cargo handling equipment on the C-74. On the other hand, their cargos consisted mostly of either coal or flour in bags and was either loaded by hand or by mechanized conveyors. Flight traffic specialists flew on C-54s in MATS on passenger missions and on other passenger-carrying aircraft such as the C-76. C-97, C-118 and C-121. They were also assigned to the Douglas C-74, a large four-engine transport that was developed during World War II. The C-74 was designed at the beginning of the war but production delays prevented its first flight until September 1945. Only eleven of fourteen built became operational, and although the C-74 had a payload of over 48,000 pounds or 125 passengers, it had no true military capabilities. After the war, Tactical Air Command wanted a long-range troop carrier so Douglas redesigned the C-74 to fit the new design requirement and presented it as the C-124. The eleven operational C-74s were assigned to the Air Transport Command, which was having its own problems remaining an active part of the military. The War Deparment finally established an ATC mission as a "service" responsible for supplementing the airlines by providing cargo and passenger carrying services for all department agencies. No military role was assigned to it. When the Air Force became a separate service, it did not include an air transport command at all. Tactical Air Command was responsible for troop carrier operations while SAC and the Material Command each had their own transports as did the overseas air forces. After considerable negotiation and pressure from senior officers who had served in ATC, the new Department of Defense finally agreed to establish a DOD air transport service that would function outside of but operated and supported by the Air Force. Originally to be called the Armed Forces Air Transport Service, the word "Military" was substituted for "Armed Forces" to make it MATS. When the MATS mission statement was written prior to its activation, the ATC commander added "deployment of troops," even though such a mission had not been advocated by anyone in the DOD or the military, and the new Secretary of the Air Force let it stand. MATS included US Navy flight crews from the former Naval Air Transport Command as well as Air Force. Navy crews flew transports with Air Force and MATS markings. Only a month after MATS was activated the Soviets blockaded all ground arteries into the city of Berlin, which lay about 100 miles inside East Germany. 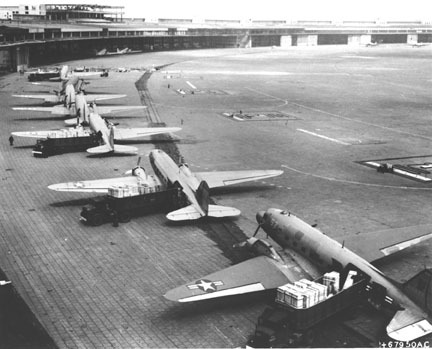 United States Air Forces, Europe immediately mounted a transport operation carrying supplies - mostly coal, flour and other staples - into the blockaded city.The operation that came to be known as the Berlin Air Lift was entirely a troop carrier operation, with all US personnel and aircraft - including those from US Navy air transport squadrons - assigned to one of five troop carrier groups. The operation started out with C-47s but C-54s were brought in due to their larger payload capacity. MATS participation was confined to ferrying airplanes back and forth between Germany and repair depots in the US, training flight crews who had been assigned to the air lift, and providing aircraft and flight crews on TDY to USAFE for air lift duty. The Air Lift Task Force commander, Maj. General William H. Tunner, who had been temprarily reassigned to USAFE from MATS, managed to get a single C-74 temporarily assigned to the air lift for a few weeks on a test basis. A few Tactical Air Command C-82s were also used to transport vehicles and other items that couldn't be carried in a C-54. No cargo handling personnel flew on missions with the possible exception of the single C-74 and YC-97. Loading and off-loading was handled by teams made up largely of German civilians supervised by US military personnel and was performed primarily by hand and conveyors. In 1950 the Korean War broke out, prompting immediate action by troop carrier squadrons assigned to Far East Air Forces. 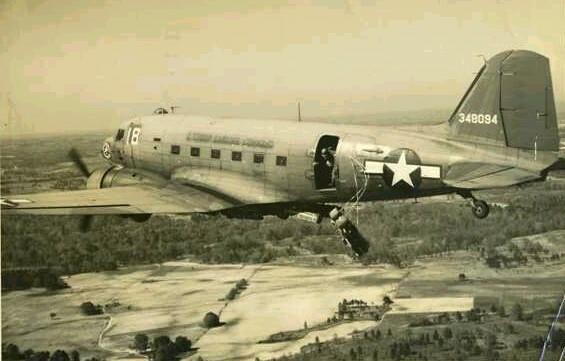 Troop carrier C-47s and C-54s began operations from Japan to Korea bringing in troops and supplies. They were joined by C-46s and new Tactical Air Command C-119s that were deployed to Japan from Sewart AFB, Tennessee. MATS operated routes from the US to Japan but did not operate into Korea itself. The MATS transports were supplemented by Tactical Air Command C-54s and C-124s. 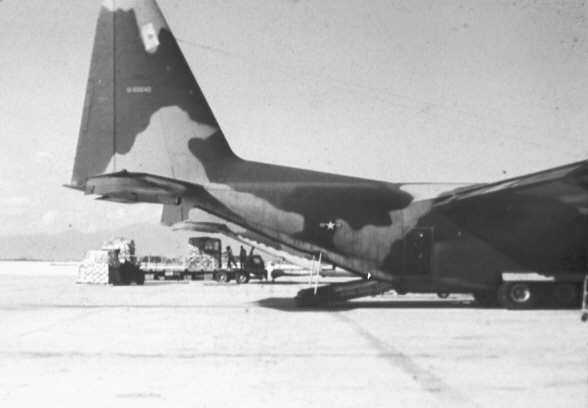 Airdrop became a major part of troop carrier operations in Korea but cargo handling, including the rigging of aerial delivery equipment on C-119s, was performed by US Army personnel. 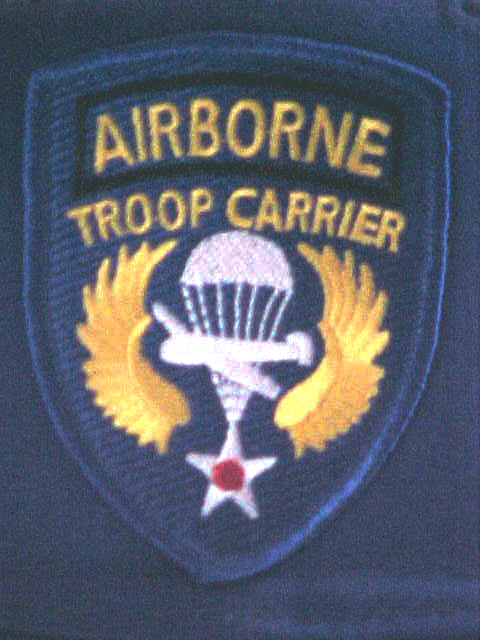 Troop carrier cargo functions, including cargo rigging and the "kicker" or dropmaster role, had remained with the Army's airborne quartermasters. All of the "kickers" who flew on missions over Korea were Army riggers. When 315th Air Division (Combat Cargo) was established to replace the Far East Air Force Combat Cargo Command, an Air Force air terminal squadron was established under it. Air terminal personnel functioned as the air cargo units had in World War II, processing cargo and passengers, preparing manifests and supervising loading and unloading of airplanes. In 1951 the C-124 entered service with Tactical Air Command, Strategic Air Command and MATS. The Air Proving Ground C-124 went to Japan for a few weeks in the late summer to test the airplane's capabilities in combat operations on flights into Korea. The test proved successful and plans were made to convert the 6th and 22nd Troop Carrier Squadrons at Tachikawa AB, Japan to C-124s. As the squadrons converted, air terminal personnel were retrained to assume the duties of loadmasters with the two squadrons. It is unclear if they were given the flight traffic specialist AFSC or were simply placed on flight status in their air freight skill since no loadmaster AFSC existed at the time. Some flight traffic specialists in MATS were evidently retrained and assigned as C-124 loadmasters. Just why the Air Force decided to assign a cargo handler to the C-124 is not clear, considering that up to that time engineers and radio operators were responsible for jettisoning loads in the event of an emergency. The C-124 featured sophisticated loading equipment including an elevator, hoists and clamshell doors but air cargo specialists in the air terminal squadrons could have been trained to operate them in the absence of the flight engineer and scanner. It is probable that the decision to put them on the airplane as loadmasters was influenced by the phasing out of airborne radio operators as aircraft avionics became more advanced. Jettisoning of cargo and baggage was a major safety consideration on flights over water and/or inhospitable terrain. Although the C-124 included a second engineer whose role was to function as a scanner, it was a large airplane and the need for additional personnel in the event of the need to jettison all or part of the load no doubt contributed to the decision to put someone on the airplane who had been given training to handle cargo. Immediately after the Korean War the military air transportation - particularly troop carrier - mission underwent a major overhaul. Air transportation duties that had formerly been carried out by US Army personnel - including the dropmaster function - transferred to the Air Force and aerial port squadrons were established in Europe and the Pacific and at Tactical Air Command bases in the US. Eighteenth Air Force had already activated at Donaldson AFB, SC as the command organization for TAC's troop carriers. Aerial delivery sections were part of the aerial port squadrons and dropmasters were assigned to check loads rigged by US Army airborne quartermasters for proper rigging, to install aerial delivery equipment and to fly on airdrop missions to operate it. They were given a new loadmaster Air Force specialty code. The former flight traffic specialist AFSC, which was based on the old Army 2967 MOS, was redesignated as 60151 in 1951. For awhile that particular AFSC was designated as "flight steward," but it reverted back to flight traffic specialist in 1953. During the 1953 reorganization, the 601X3 AFSC was established as a seperate career field and designated as aircraft loadmaster. Loadmasters were assigned to TAC aerial port squadrons, to air transport squadrons in MATS and to SAC and Material Command logistical support squadrons. The creation of a loadmaster AFSC was the direct result of the assumption of aerial delivery duties that had formerly been an Army responsibility by Air Force troop carrier units. Beginning in December 1956, TAC troop carrier squadrons began receiving the new Lockheed C-130 Hercules, replacing Fairchild C-119s. Radio operators were retrained as aircraft loadmaster/dropmasters, and for the next five to seven years there was some confusion as to where they should be assigned. Since their primary duties involved aerial delivery, most were initially assigned to aerial port squadrons and attached to troop carrier squadrons for flight duty on airdrop missions. Loadmasters assigned to overseas units, the 5th Aerial Port in Europe and 7th Aerial Port in the Far East, flew with troop carrier squadrons on cargo missions. (There is some question regarding loadmaster assignments in the Pacific - loadmasters may have been assigned directly to the troop carrier squadrons as they had been with the C-124 squadrons at Tachikawa.) MATS assigned loadmasters to its air transport squadrons but they were only required to fly when cargo was carried. Many MATS squadrons were equipped with passenger-carrying aircraft such as the C-118 and C-121. Flight traffic specialists, also called flight attendants, who were lineal descendants of the WW II flight traffic clerks, flew on passenger missions. A large percentage of flight traffic specialists were women, members of the Women in the Air Force or WAF. In fact, MATS had one of the largest percentages of WAFs of any of the Air Force commands and services. After considerable discussion as to whether there was an actual need for loadmasters to fly on terminal-to-terminal cargo missions rather than performing their duties through assignment to ground units, MATS adopted the policy that they might be needed in the event of a need to jettison cargo and loadmasters were assigned to air transport squadrons. They were not, however, considered to be part of the flight crew because they had no duties related to aircraft operation and were not afforded crew rest under the assumption that they could rest in flight. On aircraft such as the C-135 it was common for both a loadmaster and one or more flight traffic specialists (commonly referred to as "hot cuppers" and often female) to be assigned to the same mission since they often carried both cargo and passengers. TAC C-130 crews included both a flight mechanic and a scanner, both of whom were usually assigned to a particular airplane's ground crew and worked on the flight line when they were not flying. Scanners performed inflight duties on paratroop missions and aerial port loadmasters were assigned to conduct heavy equipment and container drops and for deployments. By the 1960s flight mechanics were no longer doubling as crew chiefs and working on the flight line when not flying. Due to regulatory requirements, TAC troop carrier transports were not allowed to carry non-tactical cargo in the US; aerial port loadmasters flew with troop carrier squadrons on cargo missions in Europe and, possibly, the Far East. TAC C-130 crews still included both a scanner and a loadmaster as late as 1963. In 1958 as C-130s entered service with TAC, another reorganization took place. For years the MATS staff had been lobbying to have all C-124s assigned to MATS. Under the reorganization, the logistical support squadrons that supported SAC were reassigned to MATS as were the TAC and PACAF C-124 squadrons. (There were no C-124s assigned to Europe - TAC C-124s served in Europe on TDY.) Both retained their previous identity as either logistical support or troop carrier. The former TAC and PACAF troop carrier squadrons also retained their airdrop mission; the 6th and 22nd Troop Carrier Squadrons at Tachikawa transferred to MATS but remained under the operational control of 315th Air Division, a PACAF entity, which had equipped primarily with C-130s. MATS continued operating under the DOD on "industrial fund" missions for which it received literal payment in the form of a transfer of funds for the costs of transportation of cargo, patients and passengers. MATS also assumed a new role of supplementing TAC troop carriers on troop deployments, particularly transporting out-size cargo in the former TAC C-124s. TAC, however, was established as the point of contact between the Air Force and the Army for airlift requirements as well as other Air Force services. MATS air transport units continued their existence as air transport squadrons and wings until January 1, 1966 when Military Airlift Command was established. At that point all of the former MATS air transport wings were replaced by new units that had been given World War II troop carrier designations, although the squadrons retained their identity but became military airlift rather than air transport. MAC squadrons were also given a tactical requirement, except for those flying C-133s and C-135s. The late 1950s and early 1960s saw another major evolution in the loadmaster career field as loadmasters were assigned to flight crews (as opposed to cabin crews or strictly for aerial delivery) on a permanent basis in TAC. As SAC began a program to establish an Intercontinental Ballistic Missile (ICBM) system, Air Force leaders were warned that if their service didn't develop new capabilities, it would find itself as "the silo-sitters of the seventies." The Air Force began deemphasizing its strategic nuclear mission and began emphasizing tactical air power. While SAC made plans to replace its airborne alert system of B-47s and B-52s with missiles, Tactical Air Command's star began rising as a new emphasis developed on the ability to fight "brush-fire wars" before they escalated into large-scale conflict. To combat small wars, TAC and the Army began developing heavily armed fighter/bomber and airborne and air transportable light infantry capabilities. TAC troop carrier wings were oriented toward the ability to deploy on a moment's notice and C-130 crews, in particular, were expected to be "combat ready" at all times and ready to deploy. This led to the eventual assignment of loadmasters directly to troop carrier squadrons as a member of the flight crew. 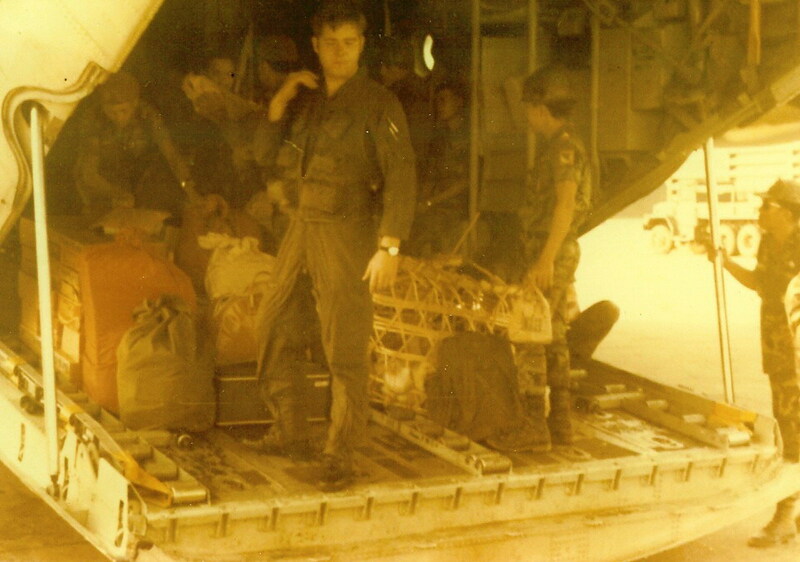 In November 1961, when Project MULE TRAIN, a project that sent a squadron of TAC C-123s from the 464th Troop Carrier Wing at Pope AFB, NC to Clark Field in the Philippines then on to Saigon, was making preparations to depart, loadmasters were transferred into the 346th Troop Carrier Squadron from the 3rd Aerial Port Squadron - and from that time on, they never left. Shortly afterwards in 1962 the loadmaster AFSC was changed to 607X0, with an "A" prefix to indicate flying status - A607X0. A nine-level skill was added in keeping with the Air Force's discontinuation of its warrant officer program and the creation of senior NCO ranks (E-8 and E-9). By 1964 loadmasters had assumed the scanner's duties on TAC C-130 crews and TAC Manual 55-130, which dictated how C-130 troop carrier operations functioned in the overseas commands of PACAF and USAFE as well, stipulated that loadmasters were part of the five-man C-130 crew. Unlike MATS C-124 and C-133 loadmasters who had no inflight duties on cargo missions since both types carried two engineers, TAC, USAFE and PACAF C-130 loadmasters doubled as scanners and were covered by crew rest regulations - MATS (later MAC) loadmasters had special crew rest rules that counted time spent in flight as "crew rest." Under the new arrangement, troop carrier squadron crew loadmasters were supplemented by aerial port loadmasters on cargo drops. When not flying, aerial port loadmasters were assigned to inspect rigging. Some were assigned to mobility teams as load planners. The permanent assignment of loadmasters to C-130 crews was due to TAC's role as the Air Force element of the US Strike Command, which had been organized to fight "brushfire wars" anywhere on the globe. TAC squadrons, troop carrier as well as fighters, were expected to be able to deploy anywhere in the world on a moment's notice. Loadmasters were also assigned to C-123 squadrons but were not assigned to base flight aircraft such as C-47s and C-131s. On such aircraft, cargo handling was supervised by crew chiefs or engineers. MATS also benefited from the new emphasis as it finally was given a role in troop deployments and prepared to expand. In 1962 MATS began recieving a new version of the C-130, the E-model, which had been designed for long-range missions. Many of the new MATS C-130 loadmasters were former flight traffic specialists who retrained into the loadmaster AFSC when their squadrons converted from C-121s and C-118s. By 1966 when MAC activated, the new jet C-141 Starlifter had entered service and had become MATS' prime transport aircraft. Originally dubbed the "Super Hercules" by Lockheed, the C-141 was essentially a larger jet-powered version of the C-130 and had airdrop capabilities. "Tactical qualifications" became mandatory for all MAC C-141 squadrons although tactical qualification wasn't a requirement for all crewmembers as it was in TAC. 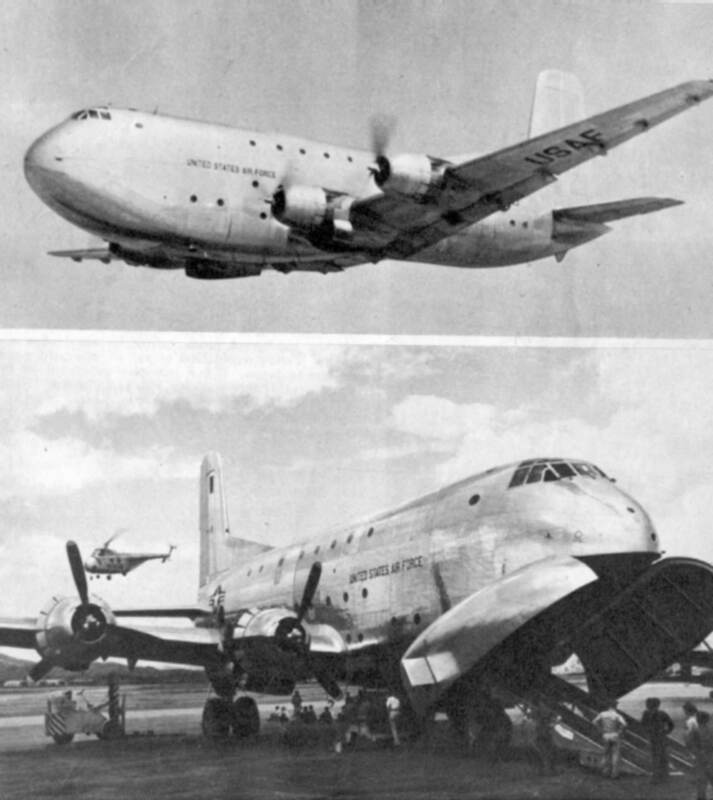 MAC continued operating C-124s as well as C-133s but both were on the way out as Lockheed was in the process of developing the revolutionary C-5, which was planned to enter service with MAC by the end of the decade. The C-118s and C-121s had been retired while the C-135s transferred to SAC for conversion to tankers. (They were sometimes still used to transport cargo for MAC.) Cargo loading and other loadmaster functions on KC-135s was performed by boom operators. Passenger operations, except for troop deployments, were handled by airline contract. Since the new MAC no longer included passenger-carrying aircraft, the flight traffic specialist AFSC was done away with except in the 89th Airlift Wing at Andrews AFB, MD whose mission was to provide transportation to senior government officials. The former flight traffic specialists were once again referred to as "flight stewards" and were all male. The women were reassigned to other duties - women were barred by law from tactical assignments - and male flight traffic specialists were retrained as loadmasters. A few flight traffic specialists - including a few women - went to other commands to serve on command transports. MATS had recieved a number of C-130Es in the early 1960s and MAC continued operating them until 1968 when they were replaced by C-141s and transferred to TAC. The disappearance of MAC's C-130s also ended the Navy's long association with the Air Force in the airlift role as Navy squadrons at Moffett Field, California and Lakehurst, NJ were removed from MAC. MAC made plans to retire all of its propeller-driven tactical aircraft as soon as the C-5 entered operational service. The Vietnam War was the first that saw aircraft loadmasters assigned to combat aircrews. (During the Korean War C-124s had not been used in the combat role, but had functioned in the logistical role bringing in cargo from Japan.) As the US role in Vietnam escalated, loadmasters assigned to C-123 and C-130 squadrons assumed a far greater importance than loadmasters had ever seen in other commands. (Ironically, when the Air Force received the Army's CV-2 Caribous in 1966, loadmasters were not assigned to Caribou crews. Instead, in keeping with the Army policy of using crew chiefs on their airplanes, the Air Force assigned flight engineers to C-7 squadrons and it was the Caribou flight engineer who was responsible for loadmaster duties, including rigging and operating airdrop systems.) The combat environment required that aircraft be off-loaded as quickly as possible to avoid destruction by enemy ground attack and the loadmaster became the most important member of the aircrew after the pilot. How quickly a loadmaster functioned could determine whether or not an aircrew survived a mission into a forward field where mortar and rocket attacks occured nearly every time a transport landed, prompting soldiers and Marines to refer to them as "mortar magnets." Although the C-7, C-123 and C-130 were the primary transports used in Vietnam, the 22nd MAS at Tachikawa operated under 315th Air Division operational control and flew out-size cargo missions into forward fields in South Vietnam in its C-124s. When the 22nd inactivated in early 1969, four C-124s were assigned to the 463rd Tactical Airlift Wing's 20th Operations Squadron for Vietnam duty. 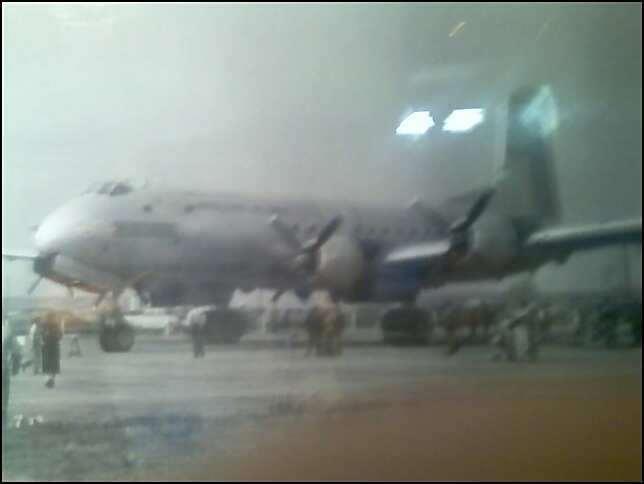 A few C-124s were also assigned to the 17th TAS at Elemendor AFB, Alaska. Other MAC aircraft operated solely in the logistical role except for a brief period in 1972 when a few C-141 crews staged at Cam Ranh Bay for in-country operations hauling backlog cargo. Loadmaster Charlie Shaub, who had started out as a flight traffic specialist on C-121s at Charleston, recieved the Air Force Cross for a mission over An Loc in the spring of 1972. 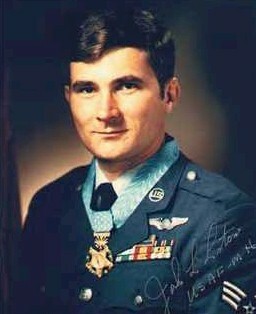 Loadmaster John Levitow was awarded the Medal of Honor for throwing a flare out of an AC-47 gunship. Levitow, who has since died of cancer, was one of a number of loadmasters who were assigned to non-airlift duties on airplanes such as gunships and Air Rescue and Recovery Service HC-130s. 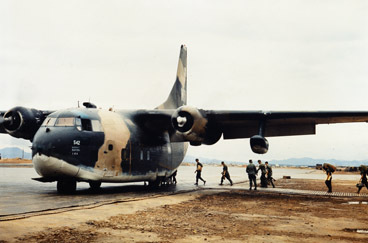 Loadmasters were assigned to AC-47 crews as flare kickers, and such assignments continued until the advent of the larger AC-130 and AC-119s when an Illuminator Operator position was established and manned by aircraft maintenance personnel who had been placed on flying status - they also performed the scanner role. Loadmasters within troop carrier squadrons - which were redesignated as "tactical airlift" on August 1, 1966 - sometimes performed non-typical duties, such as kicking flares, dropping leaflets and delivering huge ten and fifteen-thousand pound bombs. COMMANDO VAULT loadmasters actually released the M-121 and Blu-82 bombs using the Emergency Release handle on the 463L system installed on C-130s. MAC's role during the Vietnam War was purely logistical, with the single exception of the 22nd MAS which operated its C-124s into forward fields carrying outsize cargo such as large generators, bulldozers and small tanks that were too large for C-130 lift. Unlike all other MAC squadrons, the 22nd was under theater control and operated outside of the MAC system. MAC's fleet operated primarily on scheduled missions transporting high-value cargo, particularly aircraft parts. Early in the war MAC C-135s transported Army and Marine personnel on deployments to Southeast Asia but after the C-135s went to SAC, passenger operations were conducted using airline contract flights. MAC conducted an operational exercise called BLUE LIGHT which involved the deployment of a US Army infantry division from Hawaii to Plieku but the operation was more for test purposes rather than military necessity. The Communist offensive during the Chinese New Year and the nearly simultaneous Pueblo Crisis in 1968 saw MAC aircraft used to deploy additional US Army personnel, particularly the 101st Airborne Division, and USAF personnel from several TAC fighter squadrons to Pacific bases. The Eastertide Communist offensive in 1972 led to the use of MAC aircraft to deploy TAC and SAC units back to the Pacific - US forces in the region had begun withdrawing in 1969. Several C-5 flights deployed large tanks from Japan to Da Nang for use by South Vietnamese forces combating North Vietnamese units that had crossed the demilitarized zone near Dong Ha. A primary mission for the MAC C-141 fleet was operating a world-wide air evacuation system, particularly between South Vietnam, Japan, the Philippines and the US East and West Coasts. The loadmaster role on air-evac missions was to assist the medical personnel, primarily by heating meals in the ovens on the comfort pallet. Vietnam also saw loadmasters assigned to a non-traditional role as members of mobility teams made up of members of Air Force aerial port squadrons. As airlift became more and more important to combat tactics in South Vietnam, the need for qualified Air Force airlift personnel to work with US Army and Marine Corps units in the tactical airlift liaison role arose. Original plans were made to send experienced loadmasters into the field from the C-123 and C-130 units but that plan was evidently shelved, although pilots and navigators were routinely sent TDY to 834th Air Division to serve as airlift mission commanders in the field. Instead of using PACAF loadmasters, USAF began assigning loadmasters to permanent non-flying assignments with the 14th Aerial Port Squadron at Cam Ranh Bay. Their new duties included typical loadmaster duties of inspecting cargo for airdrop - they also were responsible for rigging the ten and fifteen thousand pound bombs used on COMMANDO VAULT - but also included assignments to mobility teams operating at forward airfields during combat operations. 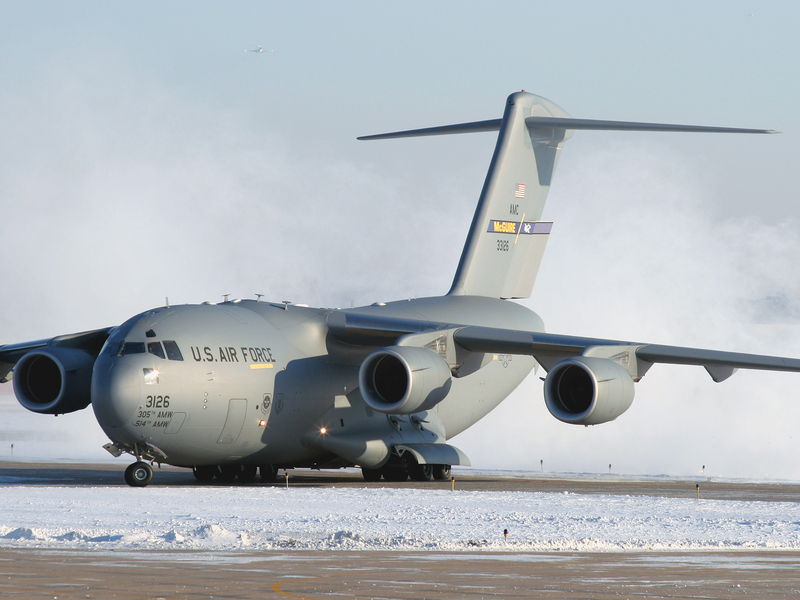 Loadmasters were also assigned to 834th Air Division Airlift Command Elements (ALCE) for load-planning. The 834th Air Division Detachment 1 at Tan Son Nhut and Det. 2 at Cam Ranh Bay included loadmasters who planned loads, supervised loading of early morning departures and flew as second loadmaster on COMMANDO VAULT and aerial delivery missions. The use of loadmasters in ALCEs and ACPs for load-planning also became common in MAC in the early 70s. ALCE's were a new development (sort of) of the 1960s. During the Korean War, Transportation Movement Coordinator offices had been set up in 315th Air Division in Japan and Korea and when the airlift mission was reorganized after the war, TMCs were set up at troop carrier bases in the US, Europe and the Pacific. The role of the TMC was to coordinate transportation requests made by Army and Marine Corps units with troop carrier and MATS. At least one loadmaster was often assigned to the TMC for load-planning duty. Load-planning was also conducted by aerial port loadmasters assigned to mobility sections. Sometime around 1965-66 the TMC designation was changed to Airlift Command Element, or ALCE. ALCEs were set up at several bases in Vietnam to coordinate between the Airlift Command Center in Saigon and the C-7 and C-123 wings and C-130 operating locations. (C-130s were never permanently assigned to bases in South Vietnam, but rotated in and out for 16-day "shuttle" assignments with operating locations that had been established in 1965 and 1966.) MAC aircraft were never assigned to Vietnam - with the exception of ARRS - and except for a period late in the war operated only on an in and out basis landing at rear area bases such as Tan Son Nhut, Cam Ranh Bay and Da Nang. In 1972 a few C-141 crews operated out of Cam Ranh Bay on missions to relieve backlog cargo due to the sudden demands on the in-country C-130 force as a result of increased North Vietnamese operations. In 1970 the huge C-5 Galaxy entered operational service and brought in new requirements for loadmaster knowledge. The C-5 incorporated complex hydraulic and pneumatic systems that were used to operate the forward and aft cargo doors and to kneel the airplane for loading and offloading. Kneeling the airplane was initially a five-man operation, but it was reduced to three when the pneumatic kneeling system was converted to hydraulics. At least two loadmasters were required to operate the forward and aft doors, one to serve as an outside scanner and one to operate the switches. Loadmasters were required to be able to operate the APUs and hydraulic systems on the ground when the flight crew was not around. When the C-5 first entered service, it was mated to large loading mobile loading docks designed for nearly automatic cargo handling but problems led to the discontinuation of use of the docks. Prior to the early 1970s the aircraft loadmaster career field remained as a shred-out of the air freight field, which was part of the larger transportation field. In 1962 it was established as 607X0, with an A Prefix to indicate that the airman was assigned to flight status, as was true in all career fields. 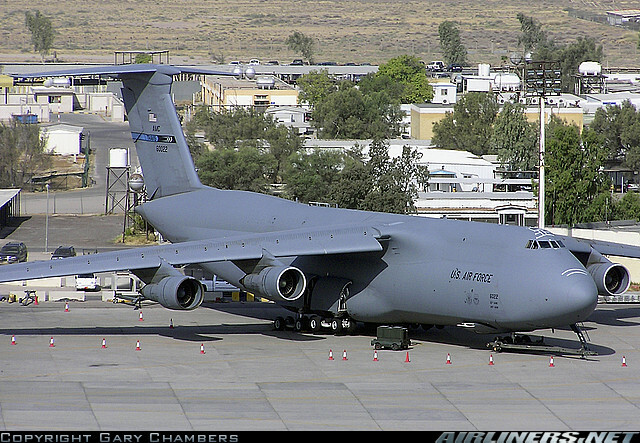 The advent of the C-5 led to an A appendix to the AFSC, as in A60770A, to indicate that an airman was C-5 qualified. As the war in Vietnam began winding down and aircrew positions decreased, USAF decided to lump all enlisted aircrew personnel into one career field and the air operations field 10000 was established with the aircraft loadmaster field becoming 114X0 (114X0A for C-5 loadmasters.) The field went through another evolution with the introduction of the C-17 and C-130J, neither of which carry flight engineers. On the C-130J in particular, the loadmaster assumed duties previously performed by the flight engineer/flight mechanic, including monitoring of environmental systems and hydraulics. Air Force AFSCs seem to change with the wind - the current loadmaster AFSC is 1A2X1. In 1975 the military airlift mission underwent a major change as the tactical airlift units that had pioneered the air transport mission transferred from Tactical Air Command to MAC. They were followed by the squadrons in PACAF. The transfer was the result of long political maneuvering on the part of the MAC staff and it's predecessors in MATS and was opposed by the TAC commander, General William Momyer. He had written in his end of tour report when he left command of Seventh Air Force in Vietnam that one of the lessons learned in the conflict was the necessity of maintaining seperate tactical and strategic airlift organizations. Momyer recognized a difference in philosophy and attitude between the two missions. In the end, the consolidation came about as a cost-effective move. An Air Force study of airlift operations in Vietnam determined that there had been a duplication of aerial port facilities with MAC units operating on bases served primarily by tactical airlift units. More recent evolutions in aircraft have seen changes in the loadmaster role. As new technology eliminated the need for flight engineers, loadmaster responsibilities increased as loadmasters assumed some of the duties originally performed by engineers on the McDonnell-Douglas C-17 and the Lockheed C-130J. Since the 1980s the field has been open to women. Current USAF policy is for increased integration of aircrew training with future flight engineers, gunners, boom operators, inflight communications/control specialists, loadmasters and flight attendants training together until they reach the point at which they branch out into their particular speciality. As with the military, it took the civil aviation industry a long time to recognize a need for loadmasters and even then they have never been recognized by the Federal Aviation Administration and are not covered by Federal regulations. Loadmasters are not required for any FAA-approved aircraft operation and there is no certification for loadmasters or cargo handlers. After World War II, airlines established load planning offices staffed with qualified weight and balance personnel. When the loadmaster field was established in the Air Force and Navy, airlines began hiring former military loadmasters in this role. Former loadmasters and freight technicians were also hired in other transportation roles - for example, seaports employ loadmasters whose role is to plan loads for ships. When large transports came into use on international air freight operations, some commerical air cargo operators employed loadmasters to accompany the loads from their origination point to their destination as the early Air Transport Command flight clerks had done. Loadmaster services became particularly important with carriers that operated non-scheduled flights and/or utilized airports without local company loading personnel. An increased emphasis on hazardous materials in the air transportation field opened the door for limited employment for former military loadmasters in the airline industry. Civilian loadmasters are assigned to many airline offices overseas where they function essentially as station agents.